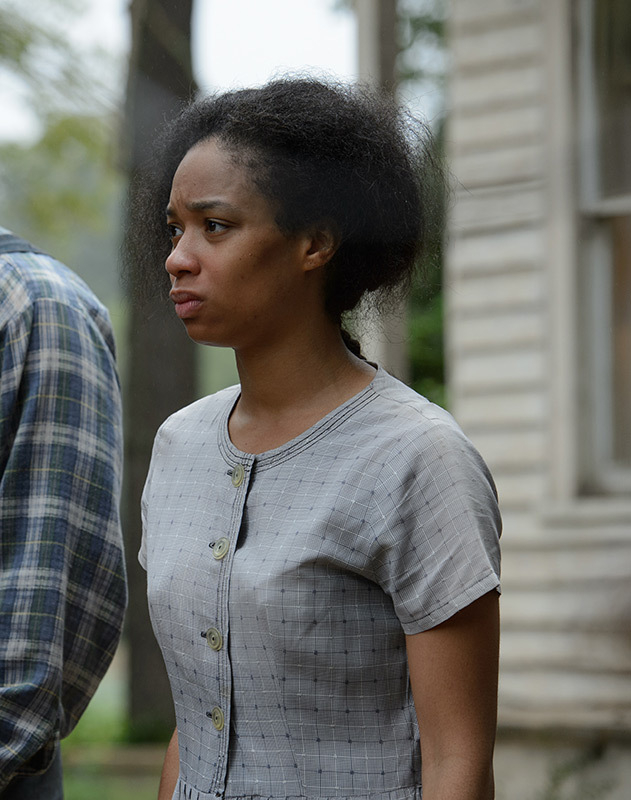 TERRI ABNEY (Garnet), cast as Mildred’s sister in Loving, was recently seen on-screen in John Hillcoat’s Triple 9 and Peter Billingsley’s Term Life. A native of Washington, D.C., she studied acting at Clark Atlanta University. Her professional acting roots are in stage work, having worked in theater on the East Coast. Ms. Abney’s film debut came with her starring in Ryan Richmond’s feature Money Matters, playing the title role of Monique “Money” Matters, alongside Aunjunue Ellis. She reteamed with the director on his telefilm Lyfe’s Journey and, most recently, the feature Chasing Waterfalls. She appears in the premiere episode of Oprah Winfrey’s new television drama Greenleaf, directed by Clement Virgo, and will recur on the first season, which debuts on OWN in the summer of 2016. Ms. Abney’s other television credits include, most recently, a guest-starring arc on Game of Silence.